… and continue to innovate. (I’m sure there’s no need for me to quote Edison’s famous ways-NOT-to-invent-a-lightbulb quote, is there?). I’ve had a number of initiatives in my business that failed. I’m okay admitting that because I’ve had many that succeeded. In this blog, I’d like to talk about 5 failures I’ve had in the past 5 years and what I’ve learned from them. 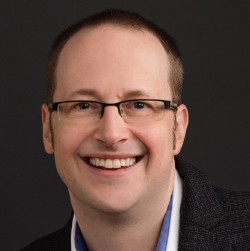 What it was: Internet Marketing Marshal was a blog about — you guessed it — internet marketing. It was a fun brand (I think cowboys are cool) and it ran for maybe 6 or 8 months. What I learned: At the time I was doing a lot of internet marketing work through my primary site (then, a really old version of AaronHoos.com). The initial intention was to spin it off and do internet marketing through Internet Marketing Marshal and do other content through AaronHoos.com. However, running 2 similar brands is not easy. 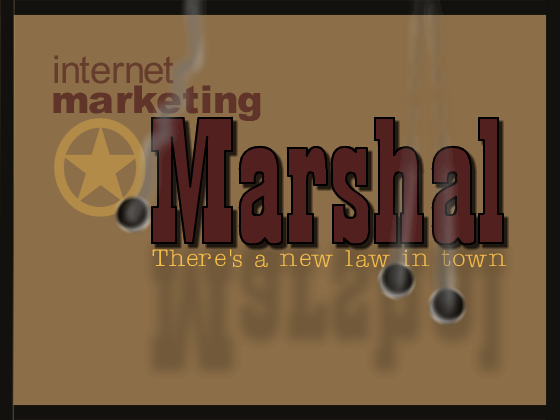 The Marshal brand was a fun brand but didn’t make any money. The Aaron Hoos brand made a lot of money but was far more professional. And, I’d often get clients who hired me to do one type of consulting work but later also hire me to do internet marketing and it was unrealistic to tell them that they couldn’t hire me as Aaron Hoos, they had to hire me as the Marshal. Where it is now: Folded it back into Aaron Hoos. There was another InternetMarketingMarshal for a while (out of New Zealand I think) but it seems to have disappeared. A Google search reveals only Perry Marshall stuff, which isn’t a surprise because his work is ubiquitous in this space. Hard to know if I broke even on this. I was able to reuse a bunch of content so it wasn’t a big deal. What it was: At the time, I was doing so much work in blogs and reading everything I could get my hands on about blogs. And, I was thinking about creating a series ebooks about blogging. And, I was also looking for a business initiative where I could grab hold of a searchable word that hadn’t been bought yet. In my reading, I came across the word “blogductivity” several times, saw that it was available, and I bought it. What I learned: I learned two things: First, you need to act fast. Blogs are still important and useful and potentially profitable and I still do a lot of work in them, but that fresh new “have you heard about blogs?” puppy love for blogs in the marketplace has been replaced by Twitter. I missed the blog trend by a few months, maybe even a year. Second, you need to quickly define your USP. I couldn’t. Heck, I couldn’ t even define “blogductivity”. Sometimes it related to how blogs can enable productivity and sometimes it related to how consistent you were posting on your blog. I’d heard both and hadn’t decided what I wanted. By the end, I’d settled on using blogs to drive customer loyalty. By then, I’d moved far off the definition of blogductivity. Where it is now: The domain name itself (last I checked) is available. The content, which included material on productivity, consistent blogging, and customer relationships, has been sold to others. I’m still using some infrastructure which had been initially invested for this site, too. Although the brand itself is gone, I’ve easily broken even on the investment from the sale of content. What it was: I barely remember now why I started NexxtNet; you’ll see why in a moment. But if I recall correctly, I believe I was going to write an ebook about how marketing and technology were converging in exciting ways and how businesses could use this convergence to market more effectively. (A good example from my book was proximity-based coupons accessible to people with GPS-enabled smartphones — sort of a combination between a hyperlocal podcast and GoogleMaps and GPS). What I learned: I learned so many things! First, you need to manage your subject matter. I needed to know a heck of a lot about a heck of a lot of things if I was going to write a book that was comprehensive and useful. And the simple fact is, I don’t know enough. I could speak to the marketing side of it well, as well as the consumer use of technology, but how the technology worked was beyond me. Interestingly, I didn’t give up. I decided to redefine what NexxtNet was. I don’t remember what I redefined it as but it didn’t get far so I redefined it again, and again, and again. I redefined NexxtNet several times. Each time, I started with “okay, what is the concept of ‘NexxtNet’ all about?”. I can’t tell you how many times that happened and along the way I created BUNCH of stuff. So the second thing I learned was: You need a creativity catalyst and the ideas will flow! For me, the catalyst was trying to redefine a business purpose for the term “NexxtNet”. Where it is now: The site is available (which isn’t a surprise since it’s an awkward and obtuse domain name). But the content I created from constantly redefining that site has easily become the most profitable non-client work I’ve done. Today, a number of projects I’ve completed, as well as a lot of my consulting work in innovation, has some kind of tie back to my NexxtNet investment. Although I laugh at how obscure this project started out to be, I consider myself fortunate to have gone through it! What it was: I had this great idea for a business (don’t all entrepreneural innovations start out that way?). I wanted to create BestDamnPressReleases.com, a site where you could buy press releases and have them back to you in 24 hours or less, guaranteed. The brand was cheeky, the idea was bold, and I like writing press releases, so it made sense. But my business plan included using Google AdWords and Google doesn’t allow the word “damn” in their AdWords. So I needed to rethink the name and I decided on 24HourPressReleases. What I learned: I learned one important lesson: Not everything can be commoditized. I had essentially taken the press release writing process and turned it into an easy fill-in-the-blanks and check-out process. But if people were going to trust me with their press releases, they wanted to talk to me first. I got plenty of calls and emails from people; they were interested in nurturing a client/consultant relationship with me and I was interested in rapidly turning around content. So it wasn’t to be. Where it is now: As of this writing, I still own the domain name but have no plans for the site. Currently it’s grabbing press releases and press release information from somewhere (Twitter, I think). Within the next two weeks I have scheduled some time for some creative brainstorming to do something with it or dump it. What it was: With a name like “Small Business Recession Survival Guide”, it’s pretty clear what was. The idea was to create a weekly newsletter, and eventually an ebook, out of strategies businesses could use to mitigate recessionary impacts. I posted the page and had a bunch of sign-ups pretty early on and sent out a few newsletters. What I learned: This might seem obvious, and it was something I knew before I started: Weekly newsletters are a lot of work (the deadline is relentless) so your heart needs to be into it before you do it. Mine wasn’t. I disengaged from the project early, partly because 2009 has been a record-breaking year for me so I started to focus on longer-term strategies (rather than recession-survival topics, which are shorter term). Where it is now: I still own the URL for a few more months. It redirects here. I actually didn’t invest a lot of time into the project, which is probably good. I did invest some money but picked up a couple of projects from subscribers who needed work so I broke even on a monetary comparison. I have no regrets about these initiatives that didn’t quite get off the runway. I learned a lot from them and the experience was so valuable. Individually, they had varying amounts of return but no clear success; but on balance, I’m richer for having done them!